It’s almost time for every child’s favorite holiday. 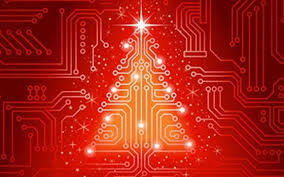 Well, Christmas just might be everyone’s favorite holiday with all the new gadgets for gifts this year. This year everyone will most likely want an Alexa, a new car, an IPhone XS, or etc. Basically, anything that’s worth alot of money. 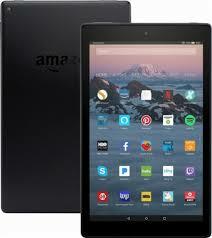 Here’s some picks of top tech Christmas gifts. This new watch is guaranteed to make a great Christmas present. It’s Apple’s largest display that can last 18 hours without having to charge it. 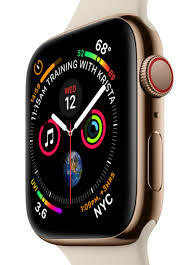 The watch can also operate with a electrical heart sensor, activity tracker, Apple Music and Apple Podcasts, Siri, call and text, an Emergency SOS mode, a Walkie-Talkie mode, Apple Pay, bigger Maps, re-defined Calendar app, and ultimately becomes the perfect workout buddy. 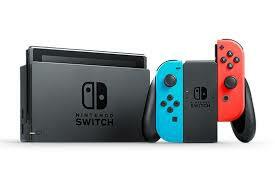 Nintendo’s newest gaming system has been leaving the shelves as of late. The Nintendo Switch comes with two joy-con controllers, can be played from wherever you are, and comes with games like Super Smash Bros, Mario Odyssey, Legend of Zelda, and plenty more to enjoy. This is the best gift for the kids, but also just a good gift in general for anyone of age. This gift is perfect for the active people or anyone that wants to track their lifestyle. 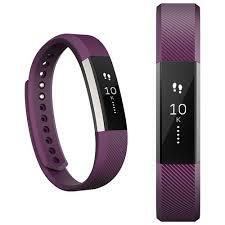 The Fitbit can connect to your phone and can track your steps, distance, calories burned, active minutes/hours, and times when stationary. It also sends you daily reminders on being active and keeps track of your exercises to help you keep up with your workouts. You also have access to your smartphone through the fitbit with seeing call, text, and other apps notifications. This fitbit can last up to 5 days without having to charge it. Also, it tracks your sleeping and can help you get a better nights sleep and can wake you up “peacefully” by vibrating. The Fitbit Alta is customizable for the clock and accessory bands and is all together the best fitness partner to have. A comfortable headset with the enjoyment of being in virtual reality. The Samsung VR headset comes with a controller to easily navigate through virtual reality. With the headset you and friends can be apart of a different world through your Samsung phone and explore all the different worlds, games, chatrooms, and apps they have to offer. 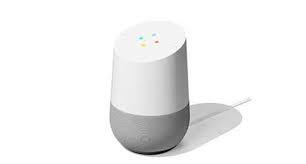 The Google Home is your at home assistance device being able to answer questions, play music, and control your “smart” home. With just the sound of your voice the device will answer or do whatever you need it to do whether its to set a reminder, set an alarm, give you the news, or even answer a call from grandma. It can go in any room and somes in its regular size, the Google Home Mini, or the Google Home Max. 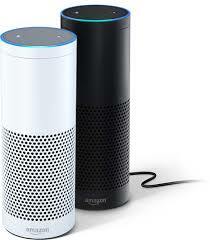 The Amazon Echo is another device used at home to set reminders, turn on the TV, buying something, or making calls. This device also plays any music app and has powerful speakers with Dolby technology play 360° audio making your music fill the room. Alexa is also used on this device to give you any assistance with the sound of your voice. 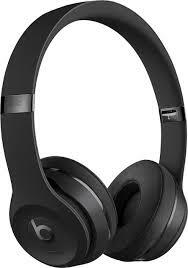 These headphones have up to 40 hours of battery life and are now wireless. The Solo3 brings you the best and comfortable listening of music through Apple W1 technology and cushion-comfort ear cups along with a 5 minute fast charging process. This makes a great gift for those music lovers out there. This is Amazon’s largest display device with Alexa. It comes with stereo speakers, Dolby Audio, and the perfect screen to watch any video in HD, playing games, and reading content. Make any calls, send any texts, or do video calls with someone when using the tablet and you can ask Alexa to do anything you need on the tablet. You’re able to download any content and Prime members get unlimited access to over a thousand books, magazines, a bunch of songs, and plenty of movies and TV episodes at no additional cost. 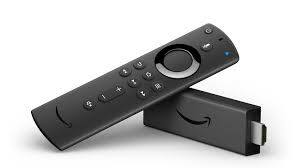 This remote is the most powerful 4K streaming media stick with a new Wi-Fi antenna design optimized for 4K Ultra HD streaming, with more storage for apps and games than any other 4K streaming media stick. Start up any of your favorite movies and shows using its new power, volume, and mute buttons or with Alexa. You can watch Netflix, Prime Video, Hulu, STARZ, SHOWTIME, CBS All Access, and others and also have access to YouTube, Facebook, Reddit, and any other website. The stick let’s you have access to any streaming media player and let’s you view live camera feeds, check the weather, dim the lights, and stream music with the help of Alexa. 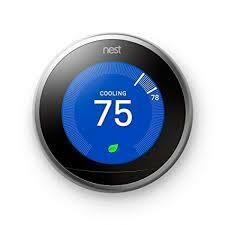 This thermostat works to your temperature standards automatically. It changes to adapt to the season and your life of how to heat or cool off your home for your comfort. The thermostat can even go into an energy saving mode by tracking your location whenever you leave your house and whenever you’re needing to set the temperature when being n your way home you can have access to your thermostat on your phone and set it accordingly. It also shows how much energy you’ve saved and used daily and monthly. This is also the first thermostat to get ENERGY STAR certified and helps save a bunch of kWh of energy which also helps you save or heating and cooling bills. All of these tech gifts would make a great addition to someones life and would make an amazing and very useful Christmas gift.